Tight cognitive links between space and number processing exist. 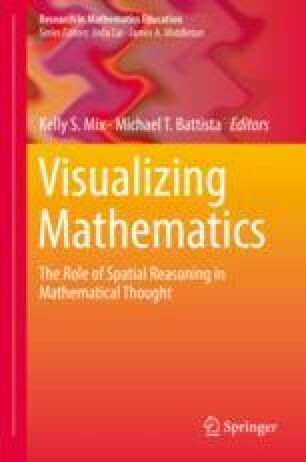 Usually, Spatial-Numerical Associations (SNAs) are interpreted causally: spatial capabilities are a cornerstone of math skill. We question this seemingly ubiquitous assumption. After presenting SNA taxonomy, we show that only some SNAs correlate with math skill. These correlations are not conclusive: (1) Their directions vary (stronger SNA relates sometimes to better, sometimes to poorer skill), (2) the correlations might be explained by mediator variables (e.g., SNA tasks involve cognitive control or reasoning), (3) the hypothetical course of causality is not resolved: For instance, contrary to conventional theories, arithmetic skills can underlie performance in some SNA tasks. However, benefits of SNA trainings on math skills seem to reinforce the claim of primary SNA role. Nevertheless, tasks used in such trainings may tap cognitive operations required in arithmetic, but not SNA representations themselves. Therefore, using space is a powerful tool rather than a cornerstone for math. KC and MS are supported by a DFG grant [NU 265/3-1] to HCN. KC, MS, and HCN are further supported by the LEAD Graduate School & Research Network [GSC1028], which is funded within the framework of the Excellence Initiative of the German federal and state governments. We thank Julianne Skinner for proofreading the manuscript.